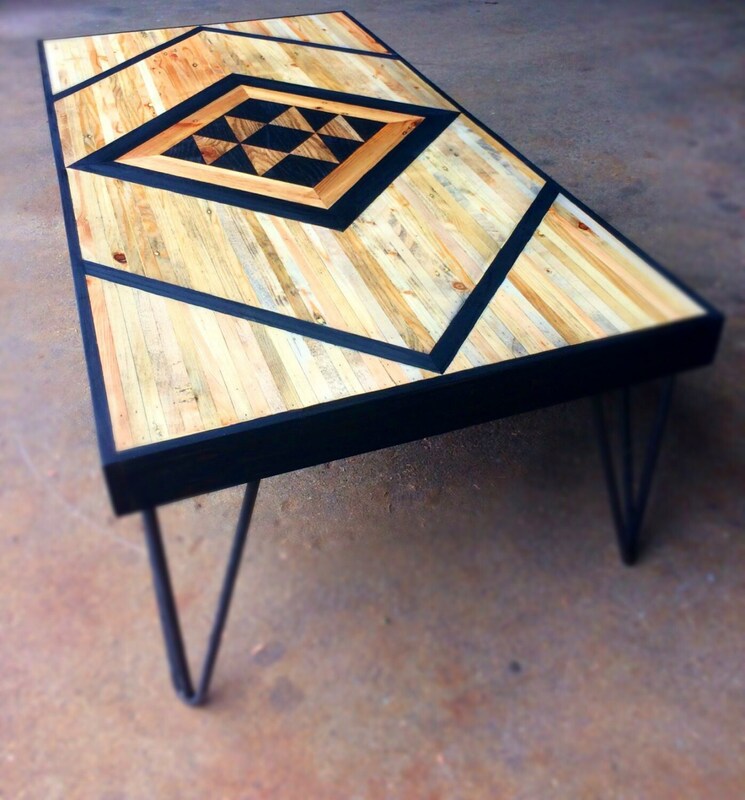 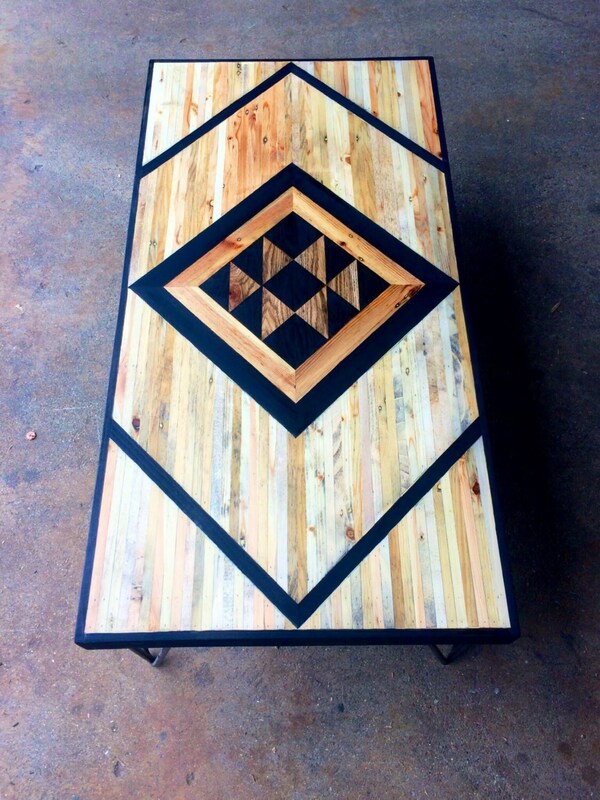 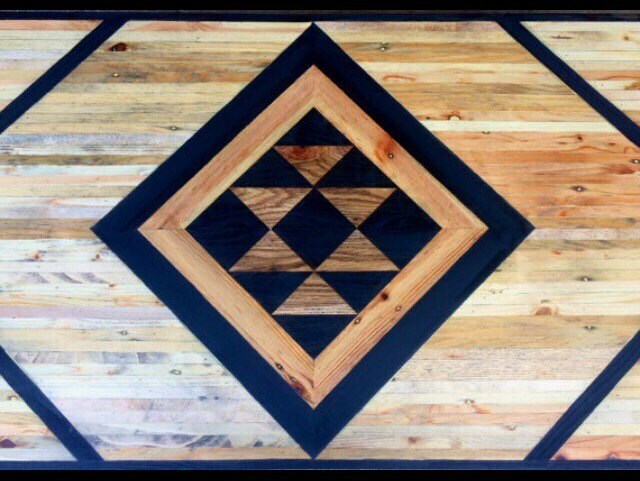 This table has an itricate geometric design, handcrafted from reclaimed and upcycled wood. 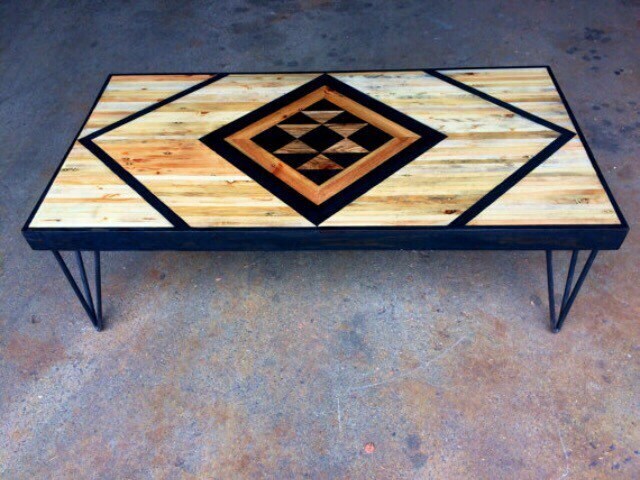 The pattern is handpainted using non-toxic wood dyes. 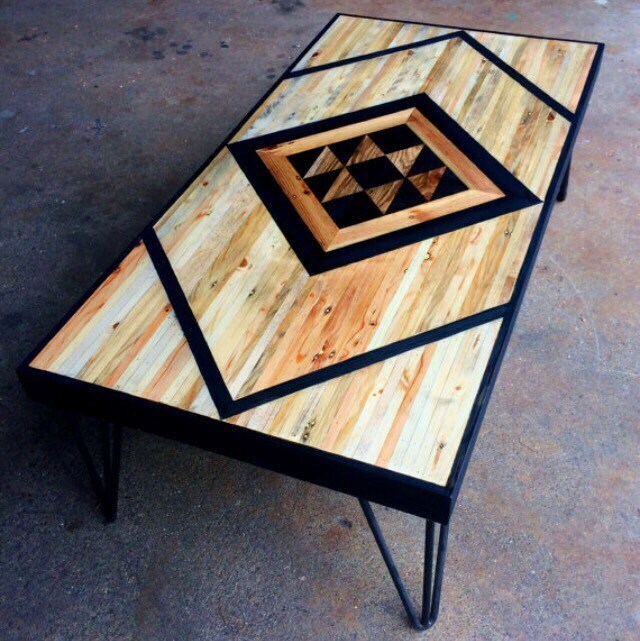 This is ideal as a coffee table, desk or small dining table.